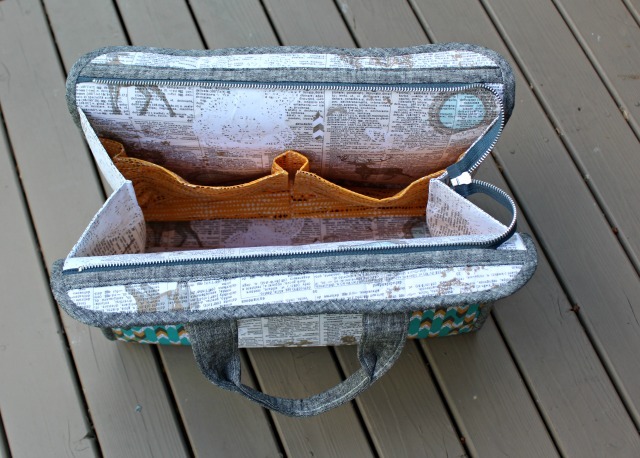 The first time I saw the Maker's Tote in Noodlehead's blog feed, I wanted one. 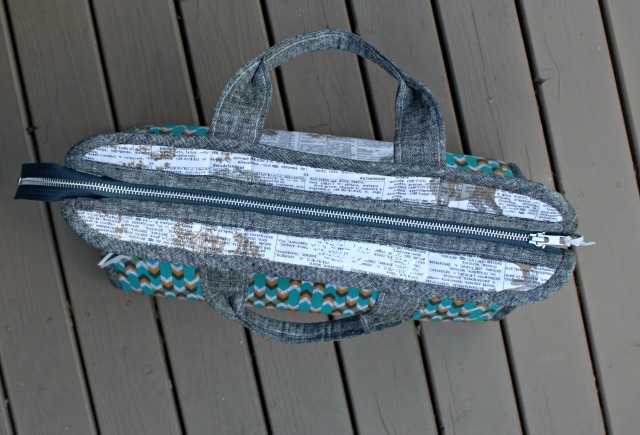 It took me a while to get serious about it, but after a few guild sew-ins in the last few months, I knew making the large one and stocking it with the necessary supplies would make packing for a sew-in so much easier. I got started back in March while on retreat and did much of the prep work. But when I got home things got set aside while I did other sewing. I was clever enough to get it onto my 2016 Q2 Finish-A-Long list, which is really what motivated me to pick it up again a few days ago. I'm not really much of a bag maker, but this tote was very doable, and relatively stress free. Anna's pattern left very little to question, and as I often do with bags, I found taking one, or maybe two, steps in one sewing session, made the project very accessible. 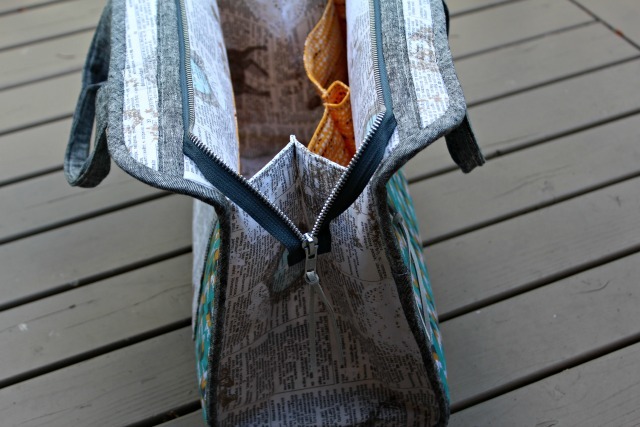 There are two zippers used in this tote, and both installations went unexpectedly well! I chose metal zips this time, and found what I needed at zipperstop. One of my favorite details of the bag are those contrasting strips on either side of that top zipper. 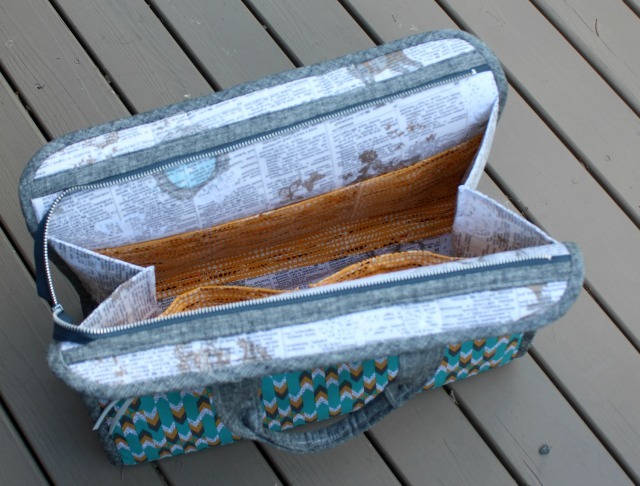 The interior has two pleated pockets on one side, and a trio of slip pockets on the other. Both end gussetds are pleated - another detail I love - which helps the bag stand tall and open. 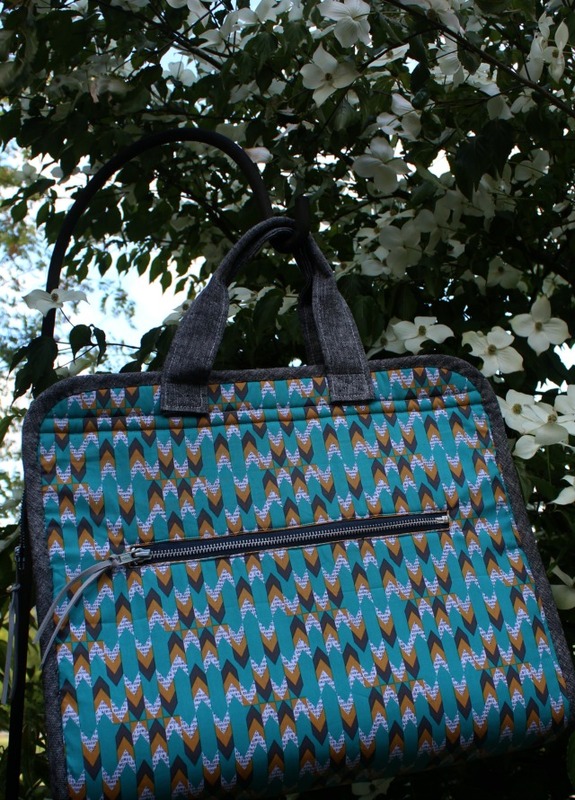 As expected in a Noodlehead bag, the details add to the both the functionality and the attractiveness of the bag. All fabric used is from Indelible from Katarina Rocella, still one of my favorite lines. Snaps are a notion I don't necessarily excel at, but with a little help and a Snap Source SnapSetter, I had success adding one to that front pocket. Let's just say I'm super pleased with the finished bag, and am looking forward to filling it up! This is the final project on my 2016 Q2 Finish-A-Long list! Yay! This is adorable! I just might have to make this one! Thanks for sharing the source! This looks great Deb. I might just HAVE to make one too! This looks great! the fabric choices are great! I'm glad you finished! Very cool bag ! Congratulations for your finish. 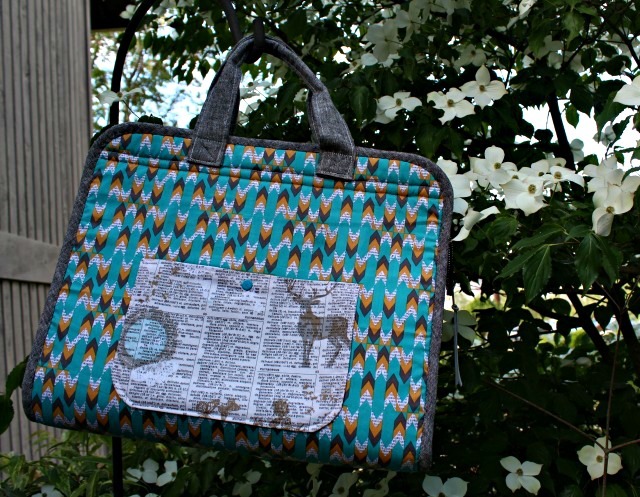 Your tote is beautiful Debbie - really love the fabrics you have used! It looks amazing Debbie! I'm not a huge bag maker, but I just love Anna's patterns. I'm working on a 241 Tote bag right now. 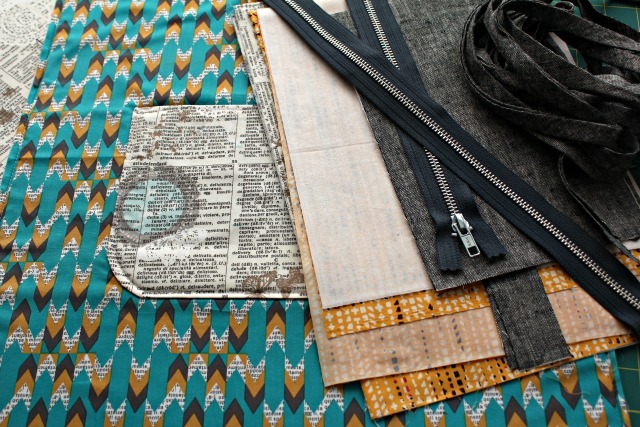 The bag looks amazing, I love those metal zippers and the pleated inside pockets, great fabric choices. Nice finish for Q2 FAL! Wow, that is really, really nice!! Having just finished a tote bag, I am reminded how much I enjoy making these and really should make something for myself! I love the gussets in this bag. You did an amazing job with this, very professional looking! Bravo!! Your bag looks amazing! I would love to have the confidence to try a bag like this, but frankly...bag making just makes me angry!! I'll settle for looking at what others make!! It's really great, Debbie! Such a professional finish. I have a retreat scheduled for November- trying to decide what bags to make! Thanks for a glimpse into this one! Congratulations on the finish and thank you for participating in the 2016FAL, on behalf of all the hosts! A Webinar and a W.i.P.